Circles.Life has unveiled a microsite stating “Don’t go GOMO! Go Circles.Life!”. 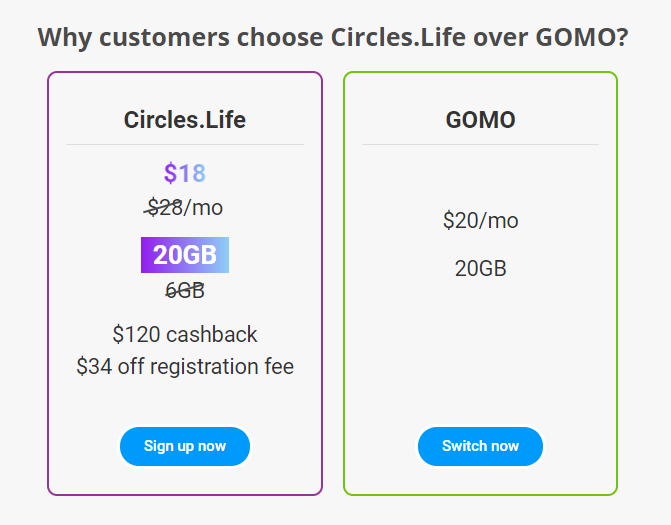 According to the website, users who switch from Singtel’s GOMO plan to Circles.Life are entitled to SG$120 cashback and SG$34 off registration. At the time of writing, Circles.Life did not respond to any of Marketing’s queries but the brand is known for its cheekiness in advertising. Marketing understands more details are to be unveiled this week. This website has emerged weeks after Singtel launched an all-digital mobile product GOMO (Get Out More Often) to appeal to digital natives and Millennials. 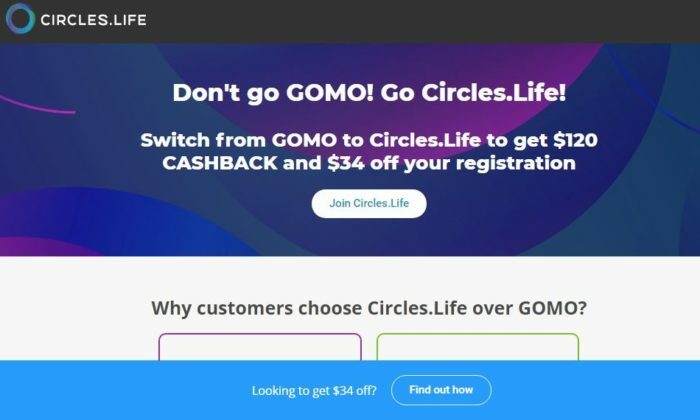 Similar to Circles.Life, GOMO offers a no-contract plan allowing customers to link their debit or credit card for monthly payments and purchases. Other offerings include digital mobile sign-up, same day SIM card delivery, a Care app and 24/7 live chat for customer service enquiries, as well as data allowances and lifestyle benefits. Over the weekend, Singtel’s GOMO app faced network issues and delay in SIM card delivery although it was promised as same-day delivery. In addition, according to The Straits Times, customers were neither able to contact the customer service team or chat with the live agents on the app. Impacted users took to Facebook to express their frustration, and Singtel has yet to provide a statement on it. Meanwhile, Circles.Life recently rolled out its new plan going at SG$18 a month for 20GB of data for both new and existing customers. The imitated site also did a comparison of the Circles.Life’s new plan, as opposed to GOMO’s. Last year, Circles.Life also mysteriously put vending machine that converted SG$3 to SG$50 around town. The marketing stunt that occurred in February even prompted the police to step in as the crowd began following the cash-dispersing machine. What are your thoughts on the stunt? “PHD PlayPen comes timely as we continue our momentum to push innovation in the region and Malaysia is one of the key markets that.. The account globally is worth over US$400 million. ..
Hospitality firm Cenizaro has launched an ad campaign for The Residence called “Moments Enriched.”..
From Malaysia Airlines to #thedress all that was trending in 2015. ..